The Boys of Summer Book Tour Begins! Whee! 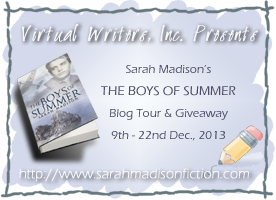 I’m so pleased to announce the official book tour for The Boys of Summer! Partnering with Virtual Writers, I can promise you an exciting, entertaining, and professional tour! Here is the press release that gives all the details! If you’re here for the Queer Town Abbey Christmas Blog Hop, please go here for that post! There are some great prizes, as well as some wonderful Christmas recipes to check out! 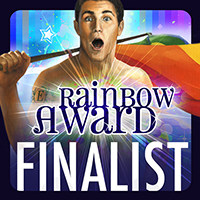 Though The Boys of Summer did not win an award in the recently announced 2013 Rainbow Awards, it was a finalist–something that brings me a great deal of pride, given the degree and depth of the competition this year! And the cover, created by the incomparable Reese Dante, won sixth place in the Cover Design Awards. Well, I mean, just look at this cover! I love all my cover art, but this one is a personal favorite of mine. Whew! I hope I didn’t leave anything out! Oh, wait, there’s a group on Facebook and another on Goodreads if you want to join in the fun there too! Goodness, I hope that’s everything! I also hope to see you on the tour–I very much want to answer your questions and hear what you have to say! a Rafflecopter giveaway link in here too! 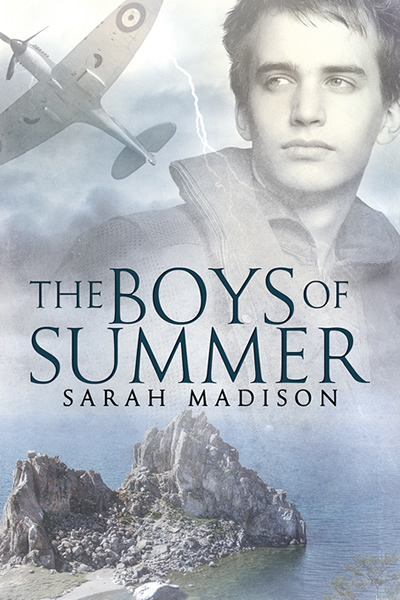 This entry was posted in Uncategorized and tagged announcements, blog hop, contests, interviews, promo, Sarah Madison, The Boys of Summer, writing by Sarah Madison. Bookmark the permalink. Oh dear! I’d think you’d be bored hearing about it by now–I’ve only brought it up every few days since April! I wonder if the follow option is working on the page–I did notice that my numbers seem to have dropped. But hopefully this is a good news announcement for you and you’ll enjoy it–thank you! 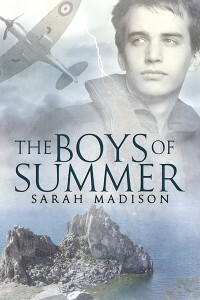 The Boys of Summer sounds fab and I really love the cover. I would love to read this.